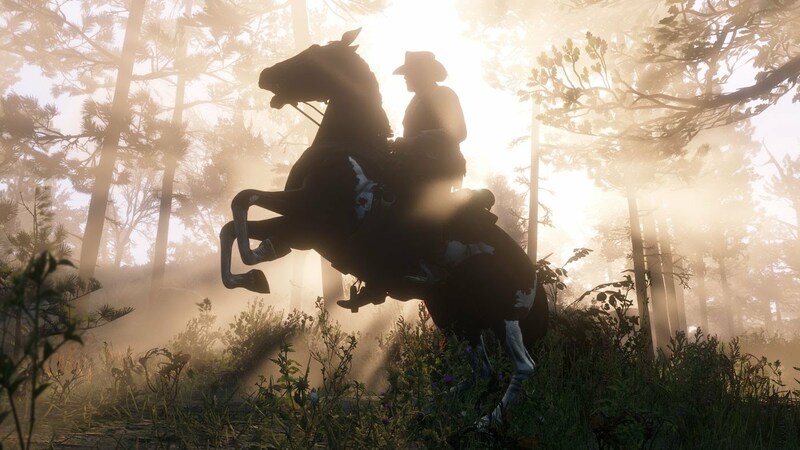 It’s been a while since I’ve written something for the site (life finds a way to get in the way) but if there was one thing that would get me to jump back onto the keyboard, it was Rockstar’s release of Red Dead Redemption 2. The long awaited sequel/prequel to one of my favorite games ever in Red Dead Redemption. Now this won’t be a full blown review, as to write something like that, takes a level of time I currently don’t have. 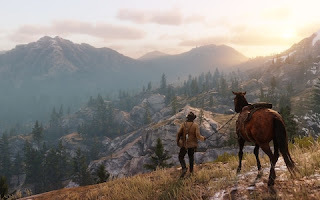 I did, however, want to take some time to write something about the game’s story. So from here on out, consider these next few lines your SPOILER. WARNING. 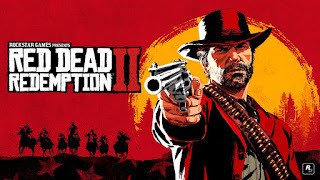 Because I’m going DEEEEEEP into Spoiler Canyon. Still here? Cool. Rockstar did something with the story in this game that I’m not entirely sure a lot of developers could do, they gave us a compelling prequel story when we already knew the ending to the overall story. 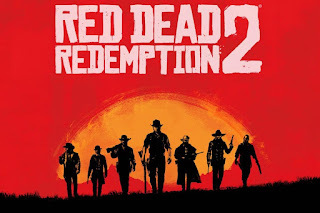 As a quick summary, RDR2 is the beginning of the story of the Van Der Linde Gang, the very same gang you were tasked with hunting down in Red Dead 1 with John Marston. 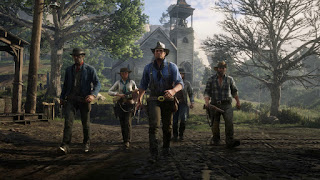 RDR2 places you in the shoes of Arthur Morgan, the enforcer of the gang run by Dutch Van Der Linde. 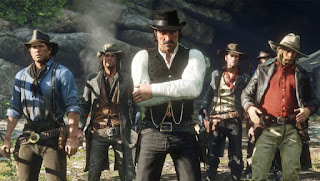 Arthur himself, like every character in the gang is a compelling character once you settle into the game and get used to seeing John as a supporting character. If I had one complaint about Arthur, it’s that his voice actor didn’t sound at all natural throughout the course of the game. It just sounded too hard like he was trying to give us the “hardened cowboy”. 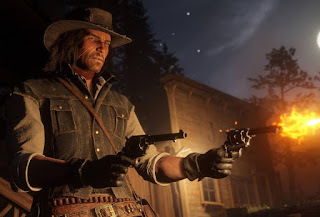 Nonetheless, due to the strength of the writing, Arthur remains a strong character. 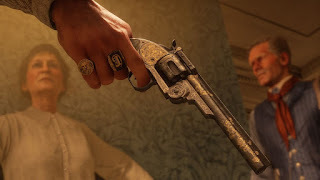 So strong in fact, that I no longer thought about playing with John, as I was so engrossed in seeing where Arthur’s story would lead him and what his role in this ill-fated gang would end up being. 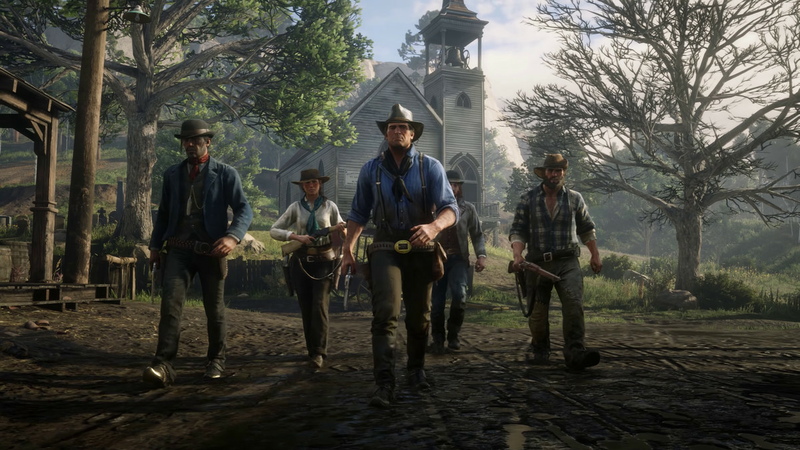 What impressed me the most about the story is just how well Rockstar depicts the gang’s downfall and Dutch’s descent into madness. There comes a point in the game close to the halfway mark where you REALLY see the threads being pulled for Dutch and you start to understand how John ended up having to hunt Dutch down later on. 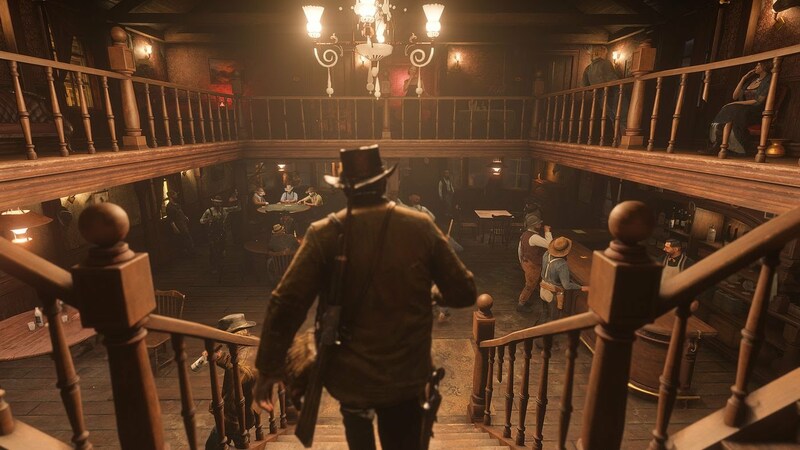 This is where the characterization of Arthur shines the most as when Dutch is at his worst, Arthur becomes no longer just a friend and loyal foot soldier but a man seeing that his best friend is no longer than man he believed him to be. These moments become even more evident when late in the game, Arthur is diagnosed with Tuberculosis (the 1800s were rough, you catch that and it’s OVER) and realizes in the time he has left, that he needs to do right by John, the only member of the gang with a family, and get him out of this life. 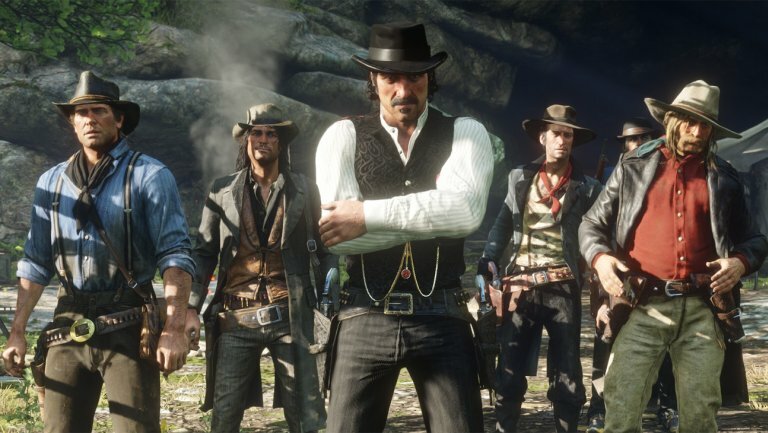 The game does a great job of touching on John and Arthur’s relationship throughout so that when the moment comes where Arthur softens up on John, it feels real. Now back to Arthur getting sick, I was hoping..HOPING throughout my playthrough that the game would end with John being playable to lead into RDR 1...and I was not disappointed in the slightest. 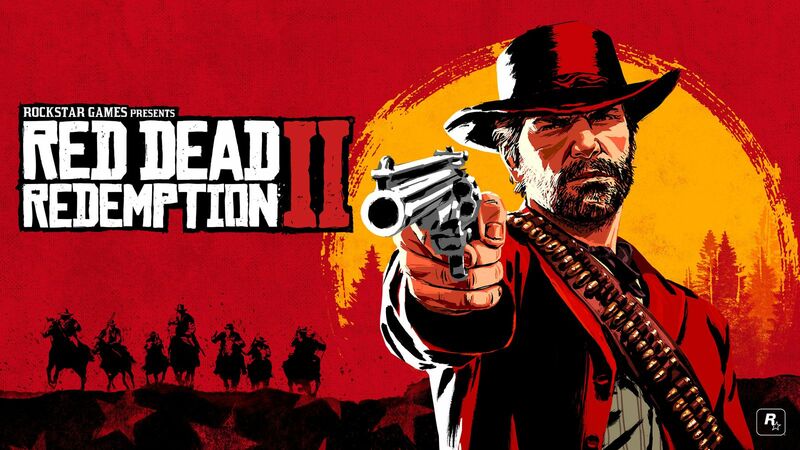 If you played RDR 1, you know that there’s an epilogue that lets you play as Jack Marston, the son of John and you can kill the agent that killed John at the end of that game. 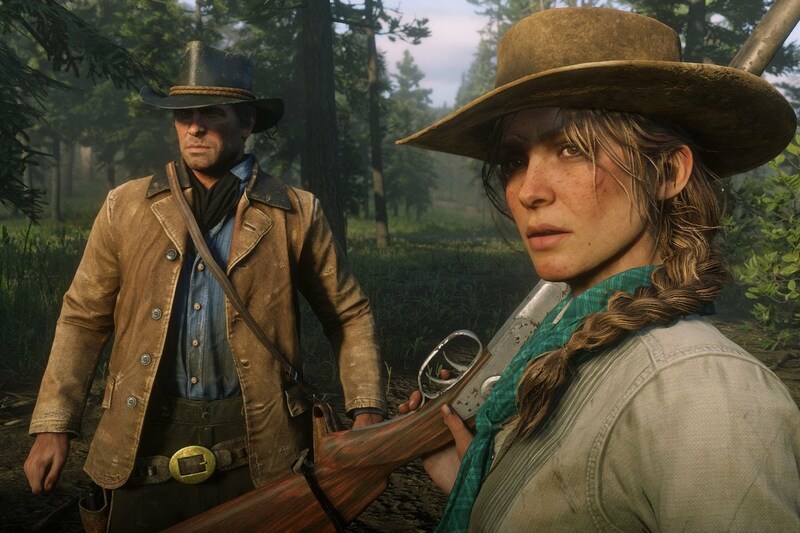 Well, after Arthur’s death in this game, you take control of John a few years later as he tries to go straight and do right by his family. What Rockstar does here is absolutely genius because it continues to play on the struggle of going straight that they set up throughout the game. 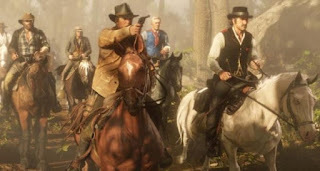 So even while you, as John, try to build the ranch at Beecher’s Hope, you get to take your revenge on Micah Bell, who betrayed your gang and left Arthur for dead. It ties everything up nicely and sets you up to turn the game off and go right into playing RDR 1...which is exactly what I’m going to do now. Want to tell me I took too long to come back? Want to tell me I was right about 2K back in my Live 18 review? #LiveHive get with it. 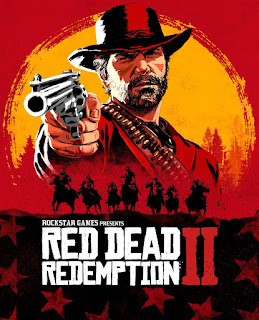 Or get mad because you read this whole thing despite the spoiler warning and now the game is spoiled for you? You know where to find me on Twitter @ peagle05. I'll be waiting.